Sau Mau Ping Estate, Kowloon. Accommodation: 89 girls (including 5 quota for emergency temporary shelter). The Precious Blood Children’s Village aims to provide accommodation, care and guidance for girls age 3-18 from broken families or who lack proper care due to other reasons, so as to provide a secure environment for their healthy development. This hostel serves girls (from 14 to 20 years of age) who, because of personal and for family reasons, need transitional, hostel care. They must be students in the wider community. Residential treatment for girls aged 12 to 16 with personal and/or family problems. Schooling and social work assistance offered. This hostel serves girls (from 14 to 20 years of age) who, because of personal and for family reasons, need transitional, hostel care. They can be either studying or working in the wider community. Object: To make available to pregnant women hostel, medical, psychological, counselling and other services which they may need but they cannot obtain, so as to ensure that the birthright of their children and their own human dignity may be safeguarded; and to provide educational programmes that promote respect for human life. The HKCMAC was established in 1965 by Fr. Edward Collins, S.J. at the request of the late Bishop Lawrence Bianchi to provide Hong Kong with a specialized agency for the improvement of marriage and parenthood. It was formally incorporated in 1967. 1. To promote by means of counselling guidance and education, successful marriages and responsible parenthood. 2. To provide, or to assist in the provi-sion of counselling and education for young men and women contemplating marriage in order that they have a proper understanding of marriage and of human relations between the sexes. 3. To establish, or to assist in the estab-lishment of centres where couples may obtain counselling and guidance of all kinds in their marital difficulties. 4. To keep the need for successful marriages and responsible parenthood in the minds of all concerned by every available means. Natural Family Planning, Love and Life Education Service, Parish Marriage and Family Resource Centre, and Volunteer Training Service, Continuing Marriage Enrichment Program. Centre, 16, Caine Road, Hong Kong. 12, North’s Street, Kennedy Town, H.K. 181, Queen’s Road Central, Hong Kong. Saturday 2:30 – 5:00 p.m.
Thursday 7:30 – 9:00 p.m.
Monday 6:30 – 8:30 p.m.
37-41, Tak Wah Street,Tsuen Wan, N.T. Monday 7:30 – 9:00 p.m.
Thursday 7:00 – 8:30 p.m.
Wednesday 8:00 – 9:00 p.m. Since 1977, Fu Hong Society has been providing services for persons with disabilities (PWDs) with the aims to develop their potentials and to foster social inclusion. Currently, the Society has over 40 service units providing core services such as residential services, day training services, vocational rehabilitation services and community psychiatric services. Every year, the Society serves about 3,600 PWDs, including persons with intellectual/psychiatric/ physical disabilities and those with autism spectrum disorders. The Society also provides Casa Famiglia Services on a self-financed basis. Four Casa Famiglia have been set up to provide family care for persons with intellectual disabilities who lack family support. 404, Victoria Road, Mount Davis, H.K. 18, Po Kin Road, Sheung Shui, N.T. In-patient Specialties include Medical, Surgical, Gynaecology, Geriatrics & Palliative Care. Other services include Pastoral Ministry, Physiotherapy, Radiology, Ultrasound Scanning, Medical Social Work, Dietetics, Podiatry, ECG, Exercise ECG, Holter Monitor, Lung Function Test, Audiogram, Urodynamic, Mammography, Endoscopy, Occupational Therapy, CT Scan, Bone Densitometry. Family Medicine, Medical, Geriatrics, Surgical, Gynaecology, Paediatrics, Orthopaedics, ENT, TB & Chest (Hospital Authority). Mon. － Fri. 9:00 a.m. － 5:00 p.m.
6:00 p.m. － 10:00 p.m.
Saturdays 9:00 a.m. － 1:00 p.m.
Sundays 9:00 a.m. － 1:00 p.m.
St Paul’s Hospital is a comprehensive and acute private hospital. It provides a wide range of out-patient and in-patient services. Our specialty Outpatient Services include Surgery, Paediatrics, Paediatric Surgery, Emergency Medicine, Obstetrics & Gynaecology, Orthopaediacs, Respiratory Medicine, Otorhinolaryngology, Endocrinology & Diabetes, Urology, Nephrology, Gastroenterology & Hepatology, Medical Oncology, Haematology & Haematological Oncology, Cardiology, Cardio-thoracic Surgery, Plastic Surgery, Dermatology & Venerology, Clinical Psychology, Psychiatry, Neurology and Neurosurgery, Ophthalmology, Dental and Wound & Stoma Care. There are total of 352 beds in the hospital, which are distributed in the premium private rooms, private rooms, semi-private rooms and 3-4 bedded standard rooms. Some wards are designated for special purposes e.g. for Paediatric, Intensive Care, Isolation, Obstetrics & Gynaecology and Nursery. The hospital runs a 24-hour out-patient general medical service and numerous scheduled sessions in special medical care. There are over 20 resident specialists and around 60 enlisted visiting specialists providing professional services to clients. St. Paul’s Hospital has numerous specialty centres and services which offer comprehensive services from diagnosis to treatment. They are Cardiac Centre, Breast Clinic, Diagnostics & Interventional Radiology Department, Dietetics and Catering Department, Dental Centre, Endoscopy Centre, Eye/LASIK Centre, Health Centre, Maternity Department, Nursery Department, NephroCare Dialysis Centre, Operation Theatre, Orthopaedics Centre, Pastoral Care Unit, Pathology Department, Pharmacy Department, Rehabilitation Centre, Urology Centre, Wound & Ostomy Nurse Specialty Clinic. 327, Prince Edward Road, Kowloon. Dr. Wong Chi Ming, Medical Supt. In-patient Service: General Medicine, General Surgery, Obstetrics & Gynaecology, Nursery, Paediatrics, Paediatric Surgery, Neurology & Neurosurgery, Cardiothoracic Surgery, Respiratory Medicine, Special Care, Cardiac Catheterization, Cardiology, Urology, Nephrology, Haemodialysis, Ear, Nose & Throat (E.N.T. ), Ophthalmology, Orthopaedics, Dental & Oral Maxillofacial Surgery, Rheumatology. Specialist Clinic: General Medicine, General Surgery, Obstetrics & Gynaecology, Ante-natal & Post-natal Examination, Paediatrics, Paediatric Surgery, Neurology & Neurosurgery, Cardiothoracic Surgery, Cardiology, Urology, Nephrology, E.N.T., Ophthalmology, Orthopaedics, Dental & Oral Maxillofacial Surgery, Dermatology & Laser Dermatology, Plastic & Reconstructive Surgery, Psychiatry, Geriatrics, Oncology, Pain Management, Endocrinology, Diabetes & Metabolism, Hepatology, Respiratory Medicine, Breast Care, Chinese Medicine, Rheumatology. Hospital Facilities: Clinical Laboratory & Histopathology, X-Ray & Ultrasound, Magnetic Resonance Imaging (MRI), Computed Tomography Scan (CT Scan), PET Scan, Mammography, Nuclear Medicine, Bone Densitometry, Cardiac MRI, Cardiac CT Scan, Cardiac Catheterization, Treadmill Exercise Test, Electrocardiogram, Echocardiogram, Electroencephalography (EEG), Electromyography (EMG), Lung Function Test, Sleep Assessment, Allergy Immunoassay, Physiotherapy, Endoscopy, Eye & Refractive Surgery Centre, Lithotripter & Urology Centre, Cancer Centre, Hearing & Speech Centre, Skin Laser, Health Screening & Diagnostic Centre, Robotic Surgery. 4, Robinson Road, Mid Levels, H.K. Excellently located, well equipped and competitively priced. Most suitable for business travellers, long staying guests and tourists. Accommodation: 227 rooms, made up of Standard singles/doubles, Harbour View Twins, Grand Harbour View Twins, Harbour View Suites, Grand Harbour View Suites and Duplex Suites with all standard hotel features plus more. An exquisite restaurant catering both Oriental and Western cuisines. An outdoor swimming pool, an Exercise Room, a Reading Room and a Chapel for your relaxation. A well equipped Business Centre and Function Room for business travellers. Facilities: 10 meeting rooms, seating capacity ranging from 20 to 200, air-conditioned, sound system, and various audio-visual equipment. Purpose: Open to all organisation for meetings, seminars, course and religious activities. Facilities: 5 variable sizes conference rooms, seating capacity ranging from 16 to 100, air-conditioned, white-board, wifi, PA system and Portable TV set for file viewing. 1. The Rooms are intended to be used by Diocesan Commissions and Offices, Diocesan Organizations and Association of the Faithful (Listed in the Hong Kong Catholic Church Directory) for Meetings, Conferences and Talks. 2. They are not to be used for dancing, drama, martial art, music, painting, calligraphy, handicraft classes or workshops, private tuition, medical treatment, beauty sessions, social gathering and other social activities. 3. Booking to be submitted at least 14 working days ahead to allow time for confirmation. 4. Charges for use of premises will be applied. 5. Catholic Centre reserves the right to refuse the use of the premises to any party. Facilities: Auditorium – 186 seats, with basic PA system, and air-conditioning, value-added AV services* on demand; 2 meeting rooms A and B, each with 70 seats (with writing pads), basic PA, and air-conditioning. 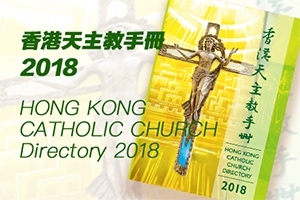 Clients: Open to Catholic groups which are listed in HK Catholic Directory for non-commercial activities including meetings, seminars, lectures and celebrations. Opening Hours: 8 a.m. to 9:30 p.m.
wireless microphones, SI system (2 channels), video projector, screen, videotaping, live web-casting. CATHOLIC INSTITUTE FOR RELIGION AND SOCIETY LTD.
Sheung Shui Village, N.T., Hong Kong. Facilities: Prayer room, Meeting rooms. Air conditioning, sound system. Audiovisual equipment. Available for seminars, meetings, lectures, retreats, overnight programmes. Capacity: Meeting Rooms for 50 persons. Overnight: 20-30 persons, individuals or groups. Booking: The Secretariat, H.K. Central Council of Catholic Laity. Facilities: 46 single rooms, room for Spiritual Director, reconciliation room, conference room, chapel, lounges, dining room and car park. Washrooms with toilets and showers are located at both wings on each floor. 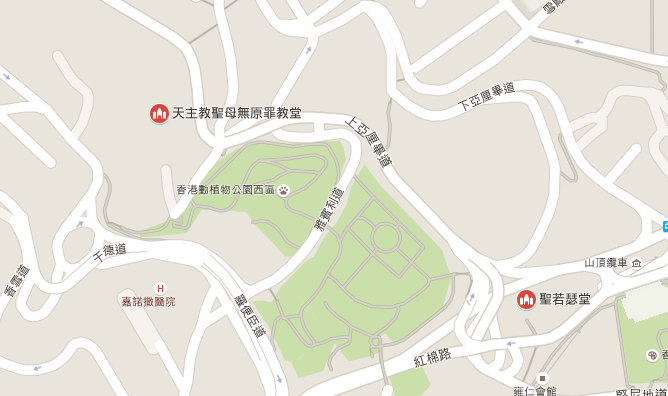 Address: 57, Mount Davis Road, H.K. Purpose: “Honeyville” offers a serene, quiet environment to all God-searching people. Sisters, experienced in spiritual accompaniment, will make themselves available when requested. In the course of ‘spiritual journey’, we hope the retreatants learn: to discover their own personal pattern of prayer which leads them to meet God and to experience His merciful and personal love for them and to arrive at a genuine renewal of a life of faith and coherence. Through this deeper growth in Faith, they may be ‘light-houses’ of Hope and Love in a world that constantly challenges the Christian belief. Facilities: Bedrooms, library, dining room, conference room, meeting rooms, chapel & prayer room; audio-visul aids and wifi system are available. 1. To provide a venue for social gatherings whereby the participants may learn to become better citizens and christians. 2. To educate the public, especially the youth, to cherish and appreciate the beauty of nature and to realize the importance of environmental protection. 1. Outdoor Education Camps for primary and secondary schools. 2. Adventure Education and camp services for the general public. Facilities: 4 two-bed rooms, 2 single-bed rooms, 1 conference room, 2 quiet rooms, chapel, dining room, car park, sound system, audio-visual equipment, air-conditioned. Aim: The Precious Blood Retreat House is organized by the Sisters of the Precious Blood for busy people in the city, to provide a quiet oasis and companionship in spirituality to deepen the faith, to have room to meet God and be touched by the Spirit. Facilities: Our Retreat House consists of two Houses with 23 rooms, featuring a suite for spiritual director, 13 single rooms with shower facility, 6 single rooms and 3 double rooms with a total capacity of 26, 2 prayer rooms, 1 function room, and 2 meeting rooms. We have 1 conference room with capacity of 60 for conferences, training and learning. P.O. Box 5, Peng Chau, H.K. 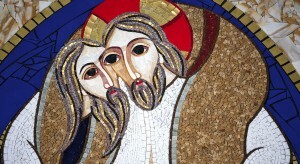 Remarks: Open all year round for serious retreatants. They will have to arrange for their own retreat-master. Priests of the Monastery are available for the sacraments of Confession or occassional counselling. Self-service meals are provided. Groups should have a leader in charge. Bookings are to be made at least two weeks ahead by writing. Facilities: Chapel, lecture hall, meeting rooms, refectory, space for recreation, 80 bedrooms. Facilities: Our House consists of 51 suite rooms with air-conditioned (including 1 spiritual director room & 4 double rooms);5 Air-conditioned meeting rooms with wi-fi, sound system and audio-visual equipment. Chapel, Labyrinth, Virgin Mary Grotto, garden and car-park. Open all the year round for meeting, seminars, course, retreat and religious activities. Application Procedure: Via on-line application or send application form to us by post, e-mail or fax. Purpose: For the service of faith, promotion of justice and ecumenical encounter through Ignatian spirituality－providing spiritual direction & various kinds of retreats. Facilities: Chapel, Conference room, refectory, single and double rooms. Booking: Via on-line application or send application form to us by post, e-mail or fax. 1) 30-day Ignatian Spiritual Exercises Retreat. 2) 3-day to 8-day individual guided retreat. 3) Workshops and retreats on different themes. 4) Individual or group retreat.